If you’ve spent even just a little time in Medora, North Dakota, chances are you know who Sheila Schafer was. She spent decades working by her husband Harold’s side to restore the history of Medora and transform it into a destination for families from across the Midwest and beyond. 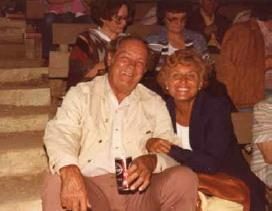 Medora became a second home for Sheila, a place where she hosted an endless stream of family and friends each summer, where she took in the Medora Musical practically every other night, a town she loved and unabashedly promoted to anyone she met. 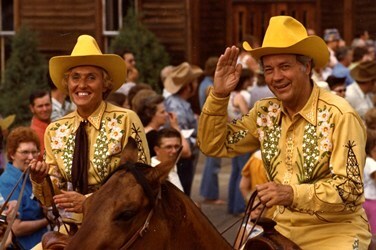 Even after Harold’s death in 2001, the “First Lady of Medora” stayed rooted there, dedicated to the cause that had meant the world to both of them. The Schafer story is woven into Medora’s museums, magazines, and magic. The public knew Sheila from her beautiful log cabin home just east of the Medora Catholic Church. She could be found sitting on her porch swing in the shade, hollering a friendly, “Hello, nice person!” to any passerby, for no other reason than to be friendly and show her appreciation for visitors that kept Medora ticking. 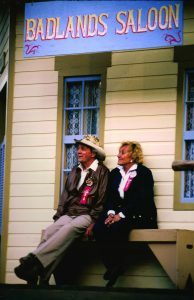 Visitors to the Medora Musical recognized Sheila from her enthusiastic hollering throughout the show, cheering on her friends in the cast and relishing something she and Harold spent 50 years building together. To those who knew her, worked with her, and enjoyed her friendship, Sheila was more than the widow of Harold Schafer. She was a force of life coming at you from a block away! 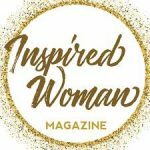 The woman’s spirits simply soared as she encountered the good things in life. People were drawn to her because she lifted up a room when she entered, and she showed fierce interest in just about anyone she met. Sheila celebrated seeing people succeed. Taking a spring lunch break with volunteers and staff, you would hear her describe her amazement at how wonderful the current year’s Musical cast was, or how sweet some new employees were, or how proud she was of this grandchild or that acquaintance. There was no room for negativity when there were so many things to be joyful about. Summer employees would go out of their way to run errands for Sheila or simply stop in and visit her. She probably benefited from their company, but even more so, many of those employees overcame their own obstacles and grew confident and successful thanks to Sheila’s listening ear and genuine love for them. 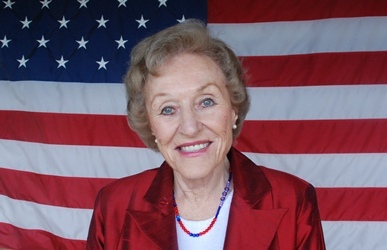 In her mid-80s, she still showed up for each employee orientation session held by the Theodore Roosevelt Medora Foundation, lipstick applied and notes in hand. She would welcome 300 seasonal employees both old and new to Medora and give them their mission: to be like Harold in their love for Medora. Sheila was—and still is—one of the biggest inspirations in Medora’s history, making an indelible impression on the lives of Medora’s visitors, performers, and employees. Her passion inspired leaders in Medora to keep dreaming bigger dreams for this little town. Her encouraging cheers made the Musical performers sing a little clearer and kick their heels up a little higher. Most importantly, the love she showed for people in her life—no matter how brief the encounter—is something none of us will ever forget. Stephanie (Tinjum) Fong worked in Medora during her college summer breaks and then had the privilege to work as the personnel manager for the Theodore Roosevelt Medora Foundation for seven years.